Thanks to recommendation you can allow your customers to see in product detail other recommended products and simply order them. Then nobody will resist order a wine with cheese plate or beer with steak. Go to recommendation for more information. To maximize the potential of the electronic menu, Spectu offers feature called timing screen. What it does is basically screensaver which you remember from old PCs. You can show a screen(s) in a moment when your customer doesn’t use the menu. Customer can simply go back to the menu or click on the screen and open a web page set for the particular screen. Timing screens allows you to promote new products and events and streamline the communication with the customer. Go to timing screen for more information. The application includes feature for waiter call, making it easy for your customers to call a waiter whenever they need. For each product you can view detailed informations such as list of allergens, ingredients, interactive map of origin or nutritional values. For more information go to waiter call and wine card. Printing a new menus can be really expensive depending on changes in menu. Also lunch menu on a plain paper doesn’t look good. That’s past with the electronic menu. The content you create in POS or in our cloud based application is real time displayed in all tablets. For more information go to administration. Speak to your customers in their language. Spectu support more than 10 languages so your customers can better understand your menu. For more information go to multi-language. Electronic menu is still huge innovation in restaurant business. Highlight Spectu as exclusive customer service and diferent your business from your competitors. Use Spectu for public relations, marketing and promotions. Everything else says our references and their customers. Thanks to sleek and simple design Spectu is extremely user friendly for customers of all ages. They will find all information really fast and easy. Spectu is not just a menu, it’s part of the design concept of the restaurant. Therefore we make for our customers custom designed application that blends with the environment and visual style of restaurant. For more information about custom design and examples of applications that we made for our customers go to custom design. Data and settings are on one place and changes are affected after syncing automatically on all devices. Spectu doesn’t bring any extra work to you and you can be sure that customers will always see the current menu. Update of the menu can be performed remotely on the selected tablet or all tablets at once without you leave your office. Changes made in Spectu will show up when you want. For more information go to administration. Spectu with ordering isn’t only way how to use our app. 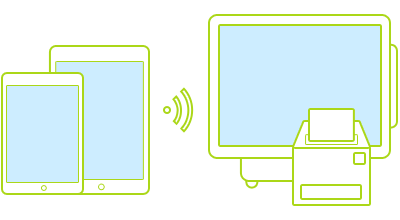 For restaurants are waiters the most important, that’s why we created Spectu without ordering. Spectu is served as electronic menu or wine list that offers your customers more comfort than paper menu. For wines we have developed a wine cards where you can view photos of wine labels, interactive map with the location of origin and street view of wineries or a reference to the wineries website. For more information please go to wine card. As new feature we introduced a recommendation system. Thanks to the recommendation your customers will find in the detail of a item other products that should be ordered together with selected product. Nobody will resist order a wine with cheese plate or beer with steak. For more information go to recommendation. Spectu support optional and forced modifiers. Thanks to this technology menu is easier for orientation and allow customers modify their order according to their taste. If they have a special request they can send a note to kitchen. For more information go to modifiers and note. Because purpose of Spectu is helping to facilitate work faster and more efective our top priority in proces of development is security. Spectu using two security levels called „waiter“ and „manager“. Each level has defined rights in the system and is protected with a password. In addition to software security we helping you protect your investment in hardware. Therefore we developed unique table installation which keeping iPads 100 % safe, covered by resistand waterproof glass. For more information go to security. Your menu have to be avaible in every situation. Therefore we focusing on maximal stability. Spectu is designed to operate without internet connection. All communication ongoing in a local network and external factors can’t affect its functionality. iPads have its own battery so even during a blackout your customer will have menu avaible whole day. For more informations go to offline mode. Through Spectu customers can place an order and send it to the kitchen and bar. This enables not only speed up the ordering process but also improve the quality of your services. Build a restaurant for 21st century, streamline your operations and entice customers for revolutionary concept of restaurant. Thanks to Spectu customers will find a whole new experience of visiting your restaurant. Not every customer always know what to order. With Spectu you can smartly recommend exactly the right thing at the right moment. In a product detail customers can see other recommended products and simply add them to order. Recommendation system will increase your sales and bring new satisfied customers. Spectu support optional and forced modifiers and note. Thanks to this technology menu is easier for orientation and allow customers modify their order according to their taste. By using modifiers customers are able to order side dishes, choose preparation of a steak (rare, medium ec.) and send a special request to the kitchen. Spectu with ordering isn’t only way how to use our app. 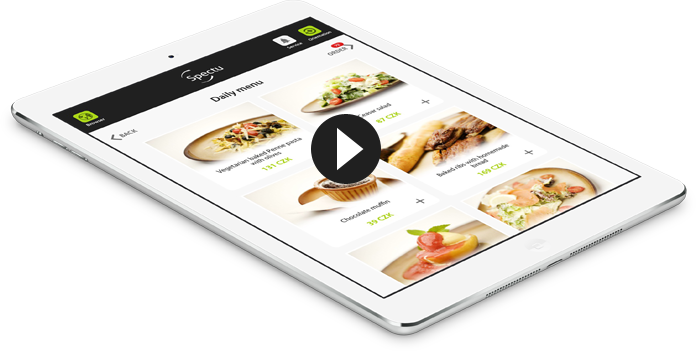 Waiters are the most important for restaurant, that’s why we created Spectu without ordering. In this mode you can use Spectu as digital menu or wine list and provide your customers better servise by providing more information about your products, photos, interactive map with place of origin, website link and plenty more. To maximize the potential of the electronic menu, Spectu offers feature called timing screen. What it does is basically screensaver which you remember from old PCs. You can show a screen(s) in a moment when your customer doesn’t use the menu. You can also pair screen with a website. Timing screens allows you to promote new products and events and streamline the communication with your customers. Spectu POS is the highest version of the electronic menu which allows you edit menu and receive orders directly in point of sale system. Spectu POS contains a open API which allows connection with third-party application. In present Spectu comunicate with POS POSLavu, the American system with more than 3000 installation around the world, Septim , European POS system from ASW Systems and Oberon, POS and accounting software from Slovakia. 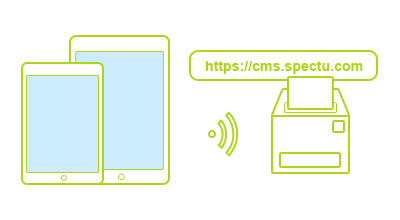 We developed Spectu CMS for customers who don’t have a POS system compatible with Spectu or for those of you who don’t want to spend hours with obsolete desktop POS systems applications and looking for a simple and inovative solution. Spectu CMS contains full version of Spectu for iPad and connection with our cloud based application CMS instead of POS system. Because of cloud based platform you are able to log in comfortably via web browsers from your notebook or mobile phone. Spectu table installation is world unique technology. 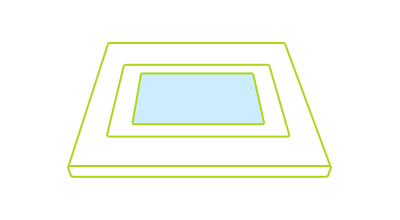 Our know-how is special Spectu Glass which covers entire display of iPad and preserves 100 % of original sensitivity. Spectu glass support multi-touch which customers will appreciate especially for gaming and web browsing. This technology provides your customers a truly unique experience.